Nicole Gildea, 1997Nicole Gildea, 2012! Meilyn Sylvestre, 1996 Marlia Sylvestre, 1993Meilyn and Marlia, 2012! Tears fell from my eyes as I finished the last pages of Messages from an Unknown Chinese Mother, which holds the stories of mothers who were forced to give up their children. It has provided me with the answers that I never knew. Its honesty, pathos, and raw emotion have greatly touched me. 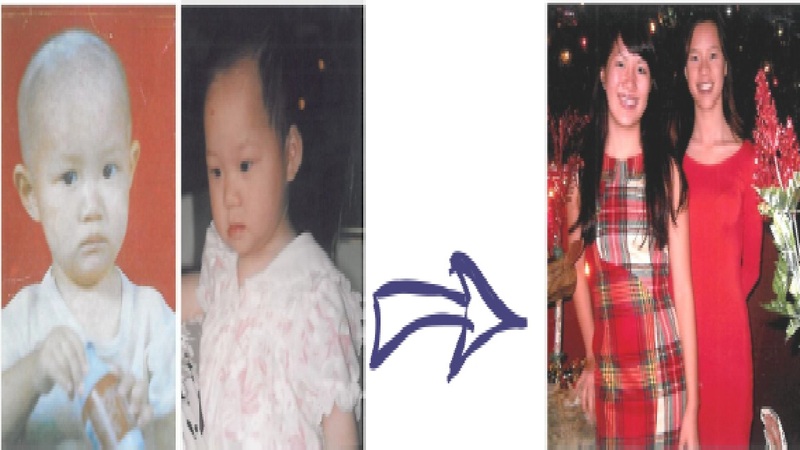 I am a 16-year-old girl who was adopted from Wuhan, China at 15 months old. I now live in Boston, Massachusetts, with a loving and supportive family. Throughout my life, I have faced an identity issue. I look Chinese, but on the inside, I feel white. With whom can I identify? Who was my birth mother? Why did she abandon me? I am grateful that you have published your books because they allow me to access the world of Chinese women and learn about the difficulties that they endured. I am not mad at my birth mother for leaving me to be found by someone else. Instead, I am thankful for her for giving me life. I now know that she really did love me. I only wish that her life is improved and that she is happy. At 16 years old, I am growing as an individual and creating new experiences. I am grateful for my birth mother and parents. I cherish my life in America and the opportunities that I have. I have always wondered what my life would have been like if I lived in China. Would I be a migrant worker or an indigent farmer, bear the burden of the less fortunate, and have to struggle for education? My Chinese mother must have faced adversity; otherwise, she would not have left me. Although it is heartbreaking that we are separated, I am thankful for the life that I have and for my future. I go to a public school in Boston, and I am motivated to do well. I now look toward life with a new perspective. I want to take full advantage of what I am given, and be happy and healthy. I am in my fourth year of learning Mandarin at school. Despite its challenge, I feel that it serves as the gateway to my Chinese heritage. In fact, this summer I received a National Security Language Initiative for Youth scholarship to study abroad in Beijing for five and a half weeks. In addition to learning Chinese, I also visited the Dandelion School. The Dandelion School is a middle school for children whose parents are migrant workers. For a weekend, I taught them English and played with them. During that trip, I also volunteered at the New Hope Foster Home. 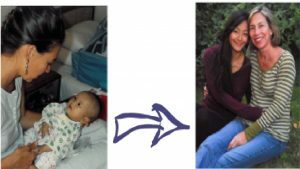 New Hope takes in babies with physical disabilities from government orphanages, and it provides them with surgery so that they can be adopted. Although I did not return to my birth city, my return to China was a great experience, and I definitely want to go back. I was three months old. This is the story my mother told me, yet it has had a fundamental influence on nearly every aspect of my life. I was one of the “lucky babies.” I was given a chance at life. Whether it was fate or excellent timing, I don’t need to know. All I do know is that I could have died, or at best, had a limited life. Chinese girls from orphanages who are not adopted often end up working in sweatshops or rice fields—if they even get a chance to grow up. In China my life was uncontrollable. A rare moment of luck led me to the United States and to my family who has loved me, but things might not have turned out this way. Seventeen years ago, Tory, my mother, was given the wrong baby. She had gone to China to come home with the baby from the picture she had chosen. When the women from the orphanage handed her a baby, she knew it was not the right baby. They insisted, sending her back to the hotel. My mother told Lillian, who facilitated the adoptions, that she could not take the wrong baby back to the United States. Tory was so miserable that Lillian went back to the orphanage and talked to the workers. With every new experience, I know that I might have died, that I might not have the opportunities I now enjoy. While it is difficult to talk about, this awareness has made me into the person I am today. It shaped has the way I approach everyday events, my schoolwork, my fencing, my relationships, and my aspirations. I am not an inactive passenger in my own life. I try to embrace what each day brings me, taking charge of my future even when I feel uncertain and fearful. I live with the awareness that I might not have had this life and all that it has brought me. Knowing that I am one of the “lucky babies” has made me strong and grateful. Wherever I go, I bring this focus, this strength, and this gratitude. Of the 2,000 children our agency has placed, about 1,250 are currently between 11 to 17 years of age. As children enter into the adolescent stage, the need for understanding and support is crucial to both the adoptive parents and the teenage children. While we all agree that the children can go through this transition successfully, as the adoption agency, we hope to make it less frustrating and more meaningful. Purpose: To encourage the adopted children who have reached adolescence to get involved in the charity activities in Chinatown and the Chinese welfare system, as well as the mentors for younger teenage. Through their involvement, we hope to help the youth in the following areas: promote self-understanding, self-worth, a sense of belonging and sense of resilience; enhance their competence, connections, character, confidence and leadership skills; experience a safe and normal social environment in the training sessions to develop positive social values and skills to create a safe environment for the individual and group. As an adoption agency, we are not experienced in youth training. To gain understanding and to improve the training, daily feedback and evaluation is extremely important. The youth and their parents are the ones who inspire us and who own the program. Over time, we hope the program becomes one that is of youth, for youth, and by youth. Six sessions. Each session will be held on Saturdays for four hours from 10:00 a.m. to 2:30 p.m. in the CAWLI office or any location of parents' choice. Team: Consists of four professionals with various racial backgrounds who are also adoptive parents. Each session shall be led by two professionals. We also hope to create a mentor team and have our trained teens serve as co-leaders for the sessions. The first group shall be for adolescents who are between 15 and 17 years old. After the sessions finish, we shall issue training certificates. We also welcome the trained youth to join our professional team as mentors if their parents highly recommend so in writing. Any mentor who helps future groups with six sessions, the agency shall contact their school for volunteer credits and shall provide recommendation letters for their college applications. At college, we love to hear from the people who participated in the CAWLI training. If they take part in any program to help other adopted children, we would be happy to list their names on the agency's Teen Center web page. Adoptive parents of the youth are requested to attend a whole day's introduction session sponsored by China Adoption With Love, Inc. It is important that the adoptive parents know the training agenda and fully understand and commit to the program. Six weekends is a long time, and the homework for each session requires practice with parents, in order to promote self-understanding and communication. List session responsibilities and designate turns to carry them out—set up the table, clean up the office after each session, potluck lunch, etc. By birth or learned; types of leadership; leadership skills, etc. What is leadership? You have a lot of these qualities already, and you will tell the group what they are. Session leaders will explain all the charity projects in detail and explain the reasons the agency recommends the projects. Why did the agency put these Chinese-related charity projects together? Is it the social expectation of me? Understand the concept of social expectations. Who Am I: How do I feel about this label "adopted American-Chinese"? Identity challenges and search. If I can choose a different charity project on my own, what is it and why? How could I persuade the group to follow me? Self-understanding and critical thinking. If the majority of the group chooses one from the agency list, how could I combine my personal interest in the chosen project? Different styles of leadership. How many children in this country were adopted in the past 20 years? How many Chinese-Americans are in the United States? What is the history of the Chinese-Americans? How many Irish (Jewish or the ethnicity group your parents belong to or are from) are in the States? How do I feel about my own diversity? What is “me” and who am I? Am I the only one who bears so many expectations? Are there things that I am supposed to do with these labels? Discuss the homework from the last session. Discuss the chosen charity project: Emotion Regulation & Awareness of Automatic Thoughts. What are the automatic thoughts when you first choose this project? Difficult, too much, I could not do it, no time, etc. How these thoughts make you feel? Confused, anxious, stressed, helpless, less happy, etc. What are emotions and what are feelings? Rate our emotions and understand how we feel. Where are the emotions from? What are automatic thoughts? What are positive automatic thoughts and what are the negative ones? More examples in school that explain how thoughts make you feel different emotions. Chinese ancient story “Neighbor and Ax.” How automatic thoughts feed off each other. How the teen brain works and how we can manage it. Ask if the thought of being adopted plays any role in our automatic thoughts and emotions. Give the emotion 24 hours to understand where it is from and then decide how to act. Learn to forgive, to relax and to move on: How to build a high tolerance level to frustration and how to make friends with failures! Now we have chosen a project to move forward with; but is it really possible? What are the facts? Ancient Chinese Story “What Is Elephant?”: All people are right but right on one fact. The Charity Projects: Government regulation involved? Requires layers of approvals? Too big, too long? Too much money needed? Ability to understand time management and stress, ability to say "No." Look at Our Strengths: Determination, spirit, intelligence, hardworking, good personalities, support from parents, school and community; etc. Write a Plan: Timetable, steps to take, division of labor, support recruiting strategies, events, result evaluation. Compare How We Feel before & after We Know More about the Project: Building experience and narrowing the gaps between automatic thoughts and facts. Talk with parents about automatic thoughts and how to find facts. Ask parents to teach some relaxation methods to manage negative emotions and seek their comments on 24 house rules. List the leadership qualities you see in your parents in leading the family life and label them as types and personalities. Talk to your friends about the charity projects and get some ideas from them. Practice your leadership skills— encouragement and listening. How many people will be affected when I participate in the charity project? What help will I need from my parents and siblings? Driving, time, worrying, cost, etc. If I were them, how would I feel? Everybody, regardless of age and gender, has two selves—the baby self and social self. 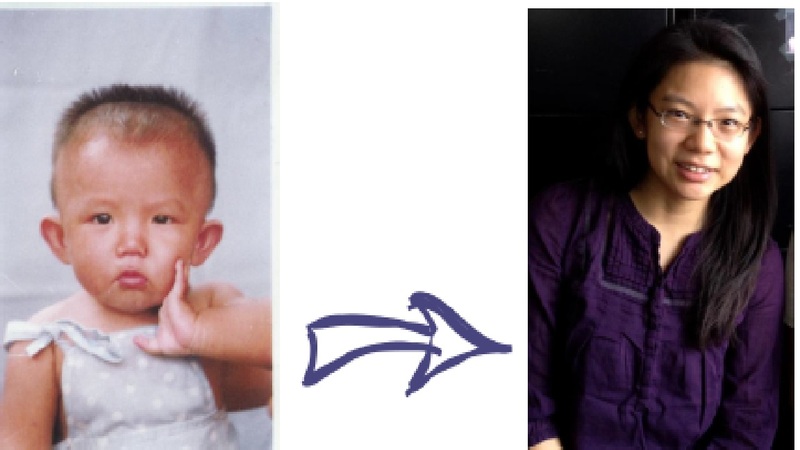 What is my parents' baby self and my baby self. How can I pay attention to their baby selves now that I am older? Do I feel comfortable to share information about this charity project with my friends? How would my friends feel about me if I do not spend enough time with them? What if they feel excluded, jealous, upset, etc.? If I were them, how would I feel? What exactly would I say to them in all predicted situations? What makes a good friend? In my school years, how many friends have I had? What do I look for in a friendship? How to say, “No,” to a friend who does not share the same values anymore? How to make new friends? I had some new thoughts about the charity project we have chosen, and my parents also gave me some ideas. How to modify the plan and how to present my thoughts to the group? How I should respond to different opinions and why. How I should respond if some group members show bad manners that hurt my feelings? How to apologize if group members tell me I hurt their feelings. How to bring the attention and energy back to the charity project. Changes, big or small, are part of life and change is normal. When is change labeled as crisis and why? Why does Chinese culture treat any change in life, even crisis, as an opportunity? Which changes are beyond our control and which are manageable? Why? For a change that we feel we could control, how do we see it positively? If we forget to bring a spoon to school but want to eat yogurt, what would we do? Imagine 10 ways to eat the yogurt. Adapting principles: Reduce the loss to a minimum while achieving maximum gains towards the set goal. Adapting strategies—physical safety, list remaining human and material resources and re-direct them, list any new approaches and possibilities opened by the changes, etc. Talk with parents about their lives and their baby selves. Talk about own baby self and propose a method to talk to parents regularly. Was I a talkative child in elementary school? Am I talkative now? At school, in general, or with friends only? Why does it change? What do we talk about at school or with friends? Body change? Boys?Looks? Grades? When do we feel annoyed by gossip? Why? What are "trouble talks" and relational aggression? What is bullying and do we have any experience with bullying? Do we see any bullying towards other children and what do we do as bystanders? When to call the police? When to tell teachers? When to walk away? Learn when and how to say, “No,” in different situations and say it loudly! Why do I feel mad when parents say, “No?” Is it because I feel I have no power? Treated unfairly? Why do my parents keep talking about drugs, dating, bullying, violence, etc.? Is it because they do not trust me? Are all parents like this or just MY parents? They do not trust me because I was adopted? Why do I feel that nobody understands me? How to empty all my pre-assumptions about a person when listening to him/her? How to assure my parents that I will stick to the values they instilled in me and I will never use drugs, accept negative peer pressure, get pressured by boys, etc. Design cards to express your feelings and determination to parents. How to design a communication system with parents to improve understanding and good feelings? Talk with parents about bullying in school: any bullying about race or adoption or other things? Talk with parents about your friends and positive/negative feelings about other peers. What kind of popularity counts? Discuss last week's first effort for the charity project. Chinese Culture: Appreciation of Weakness & Persistence—Slow Bird, Silly Man, Turtle Race, Etc. What numbers tell us about inventions, tests, definitions of genius, working addictions, etc. Learn to fail or fail to learn—our choice. Why effort is more important than result and journey is more important than the destination. What if we could not achieve the goals of the charity project? Why on this earth there is no such thing as perfection. Definition of perfection and disabling fear of failure. How to reframe the term "failure." One step closer to our goal. Learn how to improve, learn what works and what doesn't. Discuss with parents what the similar teaching is in our American culture regarding strength and weakness. Your comments and input will be appreciated. July 10 through August 20 of 2015, our agency organized two groups of adoptees to work in the Wulanchabu Children’s Welfare Institute. Twenty-three CAWLI teens participated in total, and both groups each spent three weeks in China. They climbed the Great Wall and visited the Forbidden City and also visited the grassland and some ancient Buddhist sites. Most importantly, they worked in the orphanage and spent a lot of time with the children in the orphanage. It is intense in many ways and I am very proud of the girls and very thankful to their parents. It is a privilege to have the chance to know you all! I am also very thankful to our two incredible chaperones, Dr. Rumberger and Matthew Werth. They made the service camps a great experience for all of us who had the good luck to get involved. I have been home for more than two months now but this experience is still fresh in my mind. A lot of details come to me at midnight. The worries. The laughter. The food making. The sweat in the potato field. I miss all the children in the orphanage. I miss all the girls who participated in the camp. Before writing this report, I went through the board meeting minutes. How much our board had put into this project! I went through all the training and travel meeting minutes in the six months before July 10, 2015. How much Julie had put into this project! We visit the blogs often, just imagine how much work Ali put into this! I recall all the phone conversations with the parents and my own struggle back and forth with this undertaking. It indeed takes all of us to do a project like this! I want to thank all of you for the success of the project! It is the first time, not just for us but also for the orphanage, to suddenly have groups of American girls and Chinese orphans living so closely together in a confined small area for three weeks for each group. We all saw with our own eyes the different systems and their impact on individual lives. Our girls are all taller, stronger, better educated, and articulate and purpose oriented. Yes, the daily activities seemed to be designed for much younger children, but, as Dr. Rumberger said, it was good for our girls because their childhood was way too short. Our girls are all American: working hard, playing hard, treating the orphanage children with respect and love, helping them with English and many other activities. The interesting thing is that by the end of the service camp, many orphanage children wanted to be adopted into the “sisters’ families”. We do not know what the term AMERICA means to the orphanage children but it must be very good now that they met all of these good American sisters. The second group of girls had a chance to work in the potato field. The soil was hard like clay. The weeds were big with thorns. Our girls had no gloves or tools. They worked so hard! Hands got hurt, no complaints. It was hot around noon time, no complaints. Even the orphanage director felt sorry and praised the girls in their meetings. The field was all clean in seven days! The three meals each day in the orphanage were quite plain. We walked to the local supermarket to buy water, diapers, fruits and eggs for the orphanage children and there was no car to help us. Our girls made trips every day and carried all the good stuff to the orphanage. The orphanage children were not allowed to leave but they always greeted us from their windows. They loved our girl so much that they always put a lot of rice on the plate for our girls. I still remember how our girls ran and how they carried the heavy bags. I still remember how Linny and Molly rushed to the supermarket to get candy in twenty minutes for the birthday party. You are the very best, our girls! The orphanage was also in great need of more diapers. We went to every department store around to buy big batches of diapers. No single store had enough in stock for us- we cleared out all of their shelves! The orphanage staff were very appreciative. Same for the utensils. The bowls and chopsticks were dirty so we cleared up many stores to get a set of stainless utensil for each child. It was the shared experience, the shared pain and appreciation that bonded all of the children in this confined orphanage setting together. When our girls were leaving, every child in the orphanage asked me if they would come again. Many children shouted “YOU COULD NOT LEAVE” to the van as it drove away. Yes, the most impressive work was the water supply system we helped instore in two children’s dorm buildings. The water is hard in the northern part of China and the orphanage children had no drinking water. The girls in the first group started a donation drive and got more than four thousand dollars for the water supply project. Our agency donated additional elven thousands to the funds and together we were able to purchase and to install two German made industrial level water purifying systems in the boys’ and girls’ dorm buildings. Now the children can get cold and hot water right in their residence. All of the children and the staff were very appreciative of this help and the local newspaper and broadcast station all reported this event. It is the first time our girls had an encounter with their baby experience: What a typical orphanage looks like. What a child’s life looks like growing up there. They have stared at the “Safety Island” at the front gate. It was very emotional but also very close to their heart. Our girls were more appreciative of their parents. Most girls told me they appreciate being adopted and having their families. They were excited and played daily with the children our agency was about to place, and wished other older children would have the same opportunity. Some girls wished to go to the reunion of the families who adopted from this orphanage in the future and meet with the children again. The first thing that touched our girls’ hearts was the human spirit. In a confined depressing place like an orphanage – more than one hundred eighty children, mixed age and needs; no personal belongings; not allowed to leave, the children there still look happy and cheerful. The meals look quite depressing but I heard no complaints by the children there. The children and staff there looked positive and always busy with something. Some of our girls told me that they felt relieved that the children in the orphanage were not hungry or having other problems. Our girls had a chance to see China, many of them for the very first time. The Great Wall, the local temple, the small sandwich place, the food stands on the street, etc. The wonder and imagination about China met with some concrete answers and it was actually not that bad. If China somehow is a small part of our self-esteem in sub-conscience, seeing all with our own eyes served the purpose in a positive way. In general, experiencing different lives and cultures is the best way to build our world view and capability of understanding and acceptance. To have this happen in mid teenage years is particularly important as it is the most sensitive period in our lives. Again, I want to thank all of you who helped and participated in this project! Please feel free to visit the following documents! Should We Do It Again Next Year In 2016? We have received many phone calls and emails about next year. Thank you all for paying attention to our agency’s activities and for considering this opportunity. Even with the positive impact we had, I feel hesitant to do this again. It takes a lot for our agency to do this. The stress is a lot on the office during my absence. For me personally, the worry and stress sometimes felt hard to bear: Our girls’ safety and emotional well-being; The emotional wellbeing of the children in the orphanage; loving them while feeling annoyed by the children’s orphanage behaviors; the deep guilt I felt when I realized we were not able to place most of the children who were so deeply wishing to have a family; etc. ; the list is quite long. On the orphanage side, it gets so close to the orphanage’s micro management and often times I felt frustrated. After talking to the girls on the trip and after discussing with our board, I have a lot of soul searching for myself. This project is about our children, not about me. We should do it because it is indeed appreciated by our children here and there in the orphanage. The social workers in the orphanage told me their children missed their sisters so much that they asked to watch the videos all the time. My eyes get wet when I read these words. This experience is actually also about me. I grow and become a better person. And, yes, I miss the orphanage children dearly and started to worry about their breakfast and dinner already. Yes, I miss the time I spent with our American girls and Dr. Rumberger and Matthew. I miss China. So let us do this again next year. We hope to have one group of ten children. We would give priority to children between sixteen to seventeen years of age. The holiday season is around corner and we wish you a happy Thanksgiving! Contact us today to sign up yourself or your teenager for a future training session. Headquartered in Brookline, Massachusetts, we help families across the country to adopt children from China.